Where is Golden Hills? 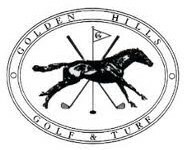 Golden Hills Golf and Turf Club is located off Hwy 27 about 3 miles west of I-75. Across from Golden Ocala. What do people like about this area? It is a beautiful golf course community. The course is known as Ocala National Golf Club. It offers a 18 hole championship golf course designed by Rees Jones. The course is open to the public and also offers memberships. The beautiful Southern Colonial Clubhouse overlooks the course and also has a relaxing pool area. Many of the homes overlook this beautiful course. If you are interested in a membership or wedding/event venue please contact Ocala National Golf Club. Visit GHPOA.org for a list of Bylaws and deeds restrictions. Fire Hydrants located throughout – good for insurance! No Side walks but there are street lights! Current Residents: Are you thinking of selling your home? Please click here for a free market analysis then we can discuss the best marketing plan for your home. Future Residents: Below is a list of homes currently available. Please call me so we can take a look!